Michigan State University ALL-American Football Player and E.E. Smith football, Basketball and Baseball Star. 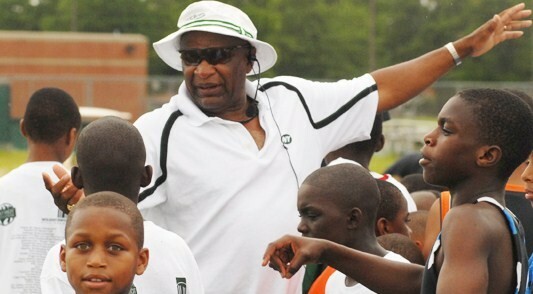 The Jimmy Raye Youth Foundation was formed nine years ago by Coach Raye with the help of his late friend, Ronnie “Chase” Chalmers to benefit the youth of Cumberland County. The foundation is involved with youth to provide educational and social development as well as providing a scholarship program. The new Tampa Bay Buccaneers head coach Greg Schiano continued to surround himself with NFL experience on his staff Wednesday with the hiring of Jimmy Raye as a senior offensive assistant. Raye has coached on the NFL level for 34 years and been an offensive coordinator for seven different pro clubs. "With over 30 years of NFL experience, Coach Raye has attained a wealth of knowledge that will be an invaluable resource to our coaches and players,'' Schiano said in a statement issued by the team. On Friday, the Bucs announced the hiring of former Cleveland Browns head coach Butch Davis as special assistant to Schiano. In his advisory role, Davis will assist the organization in a variety of areas, from pro player evaluation to scouting. Mike Sullivan will be the offensive coordinator after spending the past eight seasons as a New York Giants assistant, including the past two as quarterbacks coach working with Eli Manning. This will be Raye's second stint with Tampa Bay. Dr. John R. Griffin was named Principal of the former Edward Evans Elementary School in 1965 and returned to Washington Drive in 1971 as Principal. He was named principal of E.E. Smith Senior High School in 1973. In that post, he served as lead principal of the Smith attendance area. In 1993, he was named Superintendent of Cumberland County Schools. Among the highlights of his Superintendence were the development of Character Education, the beginning of Schools of Choice, an increased commitment to parent involvement, strengthened staff development, and revitalization of the Cumberland County Education Foundation. Dr. Griffin's long career is distinguished by many honors. He was named Wachovia Principal of the Year for North Carolina in 1990, having earlier received the honor of Wachovia Principal in Cumberland County and Fayetteville City Schools. He received the RJR Tech Prep Outstanding Superintendent Award and was named Administrator of the Year for District 9, Association of Educational Office Professionals. He was named to who’s who in American Colleges and Universities. He has also acquired an impressive record of service of state and community organizations. These appointments included chairmanship of the Cumberland County Library Board of Trustees and chairmanship of the Fayetteville City Board of Adjustment. He is a former vice-president of the North Carolina High School Athletic Officials' Association. He served as Vice-President of the Low-Wealth Schools Funding and Equalization Consortium, and on the Board of the Public School Forum and the North Carolina Principal Fellows Program. He is a former member of the State Task Force on Public School Facilities. He also served on the Board of the Cumberland Community Foundation. Dr. Willis McLeod’s love for Fayetteville State University has shown through the years by his dedication and commitment in service to the university. As a graduate of the university, McLeod’s impact on the university show throughout the university’s history, and now he has given support that will last forever. McLeod made a legacy gift to the university that will benefit the Willis B. McLeod RISE Scholarship, an endowed scholarship which will provide students with scholarships for years to come. McLeod graduated from FSU in 1964 as one of the first two people to graduate with a degree in mathematics. He later received a master’s degree in school administration from the University of Virginia. McLeod spent his career serving students in jobs that included teacher, school administrator, principal, and school superintendant. McLeod came from humble beginnings and has always had a love for learning and education. He is grateful to Fayetteville State for providing the means for him to get an education and wants to ensure others have the same opportunities. Fayetteville, N.C. — Fayetteville State University has tapped a veteran of the state university system in New York as its new leader. University of North Carolina President Erskine Bowles recommended James A. Anderson, professor of psychology and former vice provost and vice president at the University of Albany in New York, to the Board of Governors Friday. "I am the newest Bronco," Anderson told an enthusiastic audience at a reception on campus. "I couldn't think of a better place to finish my career because, folks, I'm not going anywhere." Anderson, 59, graduated from Villanova University and earned his doctorate at Cornell University. His career has taken him to Xavier University, Indiana University of Pennsylvania and Texas A&M University, and he served 11 years as vice provost for undergraduate affairs at North Carolina State University. When he assumes his new duties June 9, he will take the helm of a university that's had a troubling year. Fayetteville State's fledgling nursing school fell into critical condition in May when 24 of 31 students failed an exit exam. State officials have placed the program on probation. The nursing school's problems and financial questions were among the difficulties that led to the resignation of former Chancellor T.J. Bryan last July. 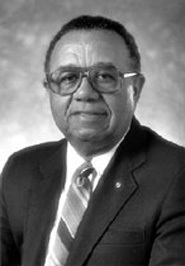 Lloyd "Vic" Hackley has served as interim chancellor since then. "There was a little damage to your reputation in the past, but that's OK," Anderson said. "All institutions go through that. It's not how you went through it; it's how you rise above that's important." He vowed to strengthen the school's academic reputation. Chalmers is a 1994 graduate of E.E. Smith and a former teacher and assistant principal at the school. Cross Creek is on the campus of Fayetteville State University, which is less than a mile from E.E. Smith. Chalmers replaces Clinton Robinson, who left this month to become principal at Wake Forest-Rolesville High School in Wake County. E.E. Smith made significant improvements in his four years there. 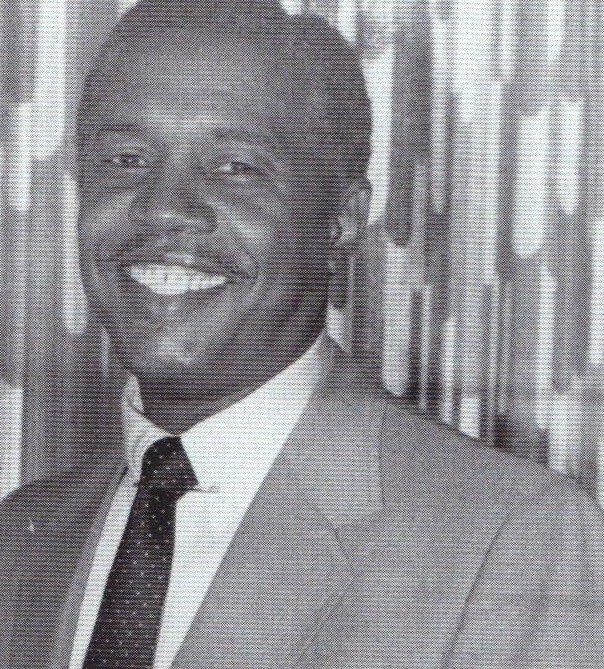 (August 14, 2007) Former Fayetteville State University Director of Athletics, William Carver, was among the latest additions to the North Carolina High School Athletic Association Hall of Fame. "This put the icing on the cake, to be associated with some of the greatest people that are already there," said Carver. It's a tremendous honor for me. It's something that I did not expect." 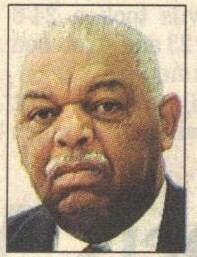 Carver served as Director of Athletic at Fayetteville State University from 2000-2004 and was named the CIAA Athletic Director of the Year in 2004. During his time as Director of Athletics, the teams won 11 conference championships and two second place finishes. Former EE Smith High School Athletic Director and Presently Cumberland County School System Student Activity Director and Athletic Director. Coach Mack is a member of the NCHSAA Board of Directors. LEGENDARY BASKETBALL COACH E.E. SMITH HS. Inducted into the Fayetteville Sports Club HALL OF FAME. Coach Walker Started the first Track Team at E.E. Smith HS. 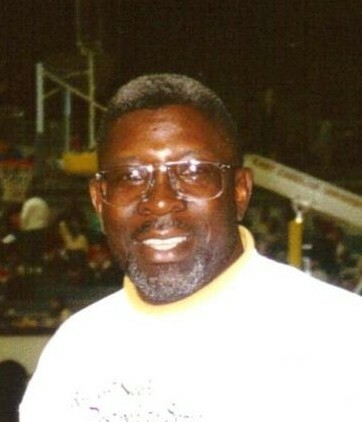 Coach Ike Walker was an Outstanding football , basketball and Track Coach , as well as a Historian and one of the most Intellegent people you will ever meet. 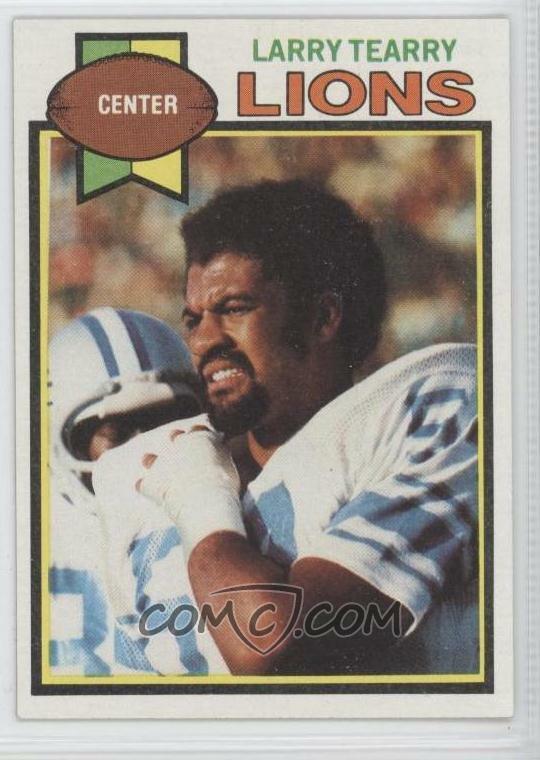 Coach Walker was an notable athlete at E.E. Smith HS. and A&T University. PASTOR DR. AARON JAMALE JOHNSON BECAME THE PASTOR OF MT. SINAI MISSIONARY BAPTIST CHURCH on January 15, 2007 and was installed March 11, 2007. Prior to becoming pastor, Rev. 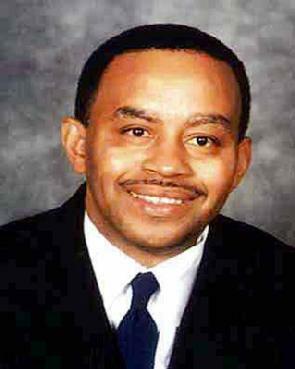 Johnson served as Minister of Education (1997) and as Assistant Pastor (1998) of Mt. Sinai. Rev. Johnson was licensed to preach the gospel at Mt. Sinai on July 9, 1995 and ordained by the Union Baptist Association in February 1998. He is a proud 1989 graduate of E.E. Smith Senior School in Fayetteville. He earned two economic degrees from the University of North Carolina at Charlotte a Bachelor of Science and Master of Science, respectively 1993 and 1995. He earned a Master’s of Divinity and a Master’s of Theology from Southeastern Baptist Theological Seminary in Wake Forest, North Carolina; Master’s of Theology, respectively in 1998 and 2001. 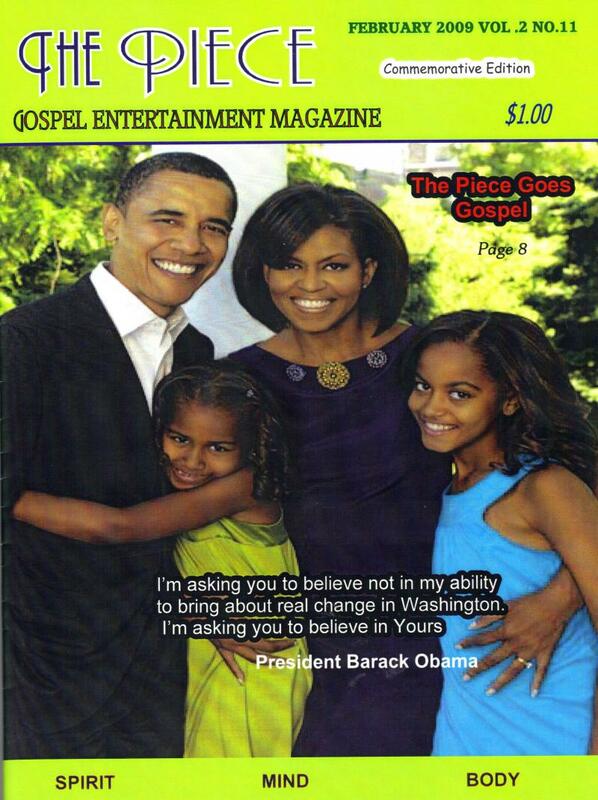 His last degree earned was Doctorate of Ministry from United Theological Seminary in Dayton, Ohio December 2007. EAST CAROLINA UNIVERSITY ATHLETIC HALL OF FAME. All-Southern Conference defensive back as a senior in 1976, Pinkney set the ECU record for interception return yardage with 197. Pinkney intercepted a team-high six passes during the '76 campaign, one of which included a 98-yard return against Richmond. He also led the Pirates in interceptions as a freshman in 1973 with three. As a kick-off return specialist, 23.1 yards per return, which ranks as the ninth-highest return average in school history. 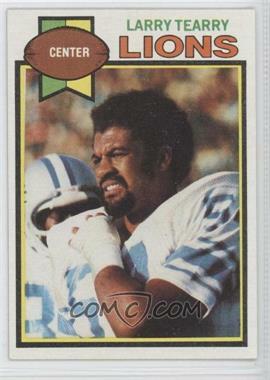 After concluding his collegiate career, Pinkney was drafted by the Detroit Lions in the sixth round of the 1977 NFL Draft. He played five years professionally. Michael Gibson started at the Fayetteville-Cumberland Parks & Recreation Department as a camp counselor in 1987. He held other titles, including athletic director and park superintendent, before taking over in 2008 after the retirement of Robert Barefoot. Gibson's department has a $16.8 million annual budget and about 150 full-time employees, plus almost 200 seasonal workers. The department's duties include building maintenance, right-of-way mowing and loose-leaf collection. Gibson said most of the projects on the proposed list of parks and recreation improvements come from an $82 million park plan that city and county officials accepted in 2006 without dedicating any money to it. Interest in the projects re-emerged about a year ago with a funding idea: issuing general-obligation bonds if voters approve. A lot more work is needed before officials say they will be ready to decide whether to hold a countywide referendum, perhaps as early as 2012. Some city and county elected officials have said the price tag is too steep. A bond issue that size would require a property tax increase that some officials oppose. An EE. Smith and Fayetteville State University Grad. Earned his Masters Degree From North Carolina A & T University. He spent his educational career in Fayettville as principal of Pauline Jones Elementary School , Horace Sisk and EE. Smith High School. As Principal of EE. Smith he showed strong leadership in both Academic and Athletic excellence. Judge Cressie Thigpen, the first African-American elected president of the North Carolina State Bar, has been appointed to fill a vacancy on the state Court of Appeals.Gov. Beverly Perdue’s office announced the appointment on Monday. Thigpen will serve the remaining four months on the term of Judge Jim Wynn, who now sits on the 4th U.S. Circuit Court of Appeals. Wynn’s old term expires at the end of this year. Thigpen plans to file next week to run for a full eight-year term on the Court of Appeals that would begin in January. Thigpen, a graduate of EE. 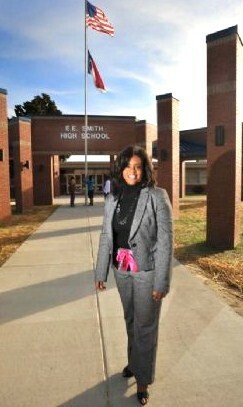 Smith High School and North Carolina Central University, has been a special Superior Court judge since 2008. In 1999, he became the first black attorney elected to president of the state bar. 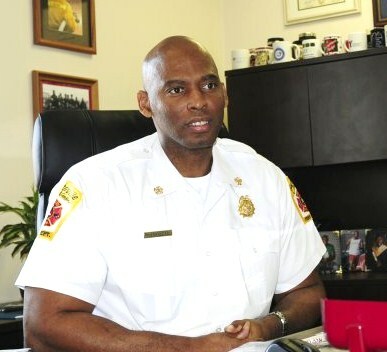 THE FIRST AFRICAN-AMERICAN CUMBERLAND COUNTY FIRE CHIEF. Ben Major never planned to become a firefighter after he graduated from the University of North Carolina at Pembroke. "I was doing the whole job-search thing," Major said. "I looked in the paper and saw an ad for the Fayetteville Fire Department. I asked questions, did some research, and my interest grew." That was in 1984, when his plans were to pass time until something bigger and better came along. But Major, smitten with being a firefighter, stayed put. It was a decision that paid off. In October, after a career that began as a firefighter, Major was sworn in as chief of the Fayetteville Fire Department. Major grew up in a military family and moved onto Fort Bragg in 1971, he said. The family moved to Fayetteville in 1977, and Major graduated from E.E. Smith High School. Major takes the helm of the 330-member department at a time when the city is growing and the role of fire services is rapidly changing. More immediate, Major said, is a transition in the department because of retirements and promotions. But Major says the path will be smooth as the department forges ahead. "It's an exciting time, a challenging time with new roles and new positions to be filled and getting everybody on board," Major said. As chief, he's in charge of 16 stations scattered throughout the city, including one at Fayetteville Regional Airport. He is responsible for seeing that the department's varied needs, including keeping vehicles serviced and meeting staffing needs, are met while operating within a budget of $23.5 million. NFL veteran Charlie Baggett, who has coached nine 1,000-yard receivers in the professional ranks, will serve as Tennessee's assistant head coach and wide receivers coach. Baggett brings 33 years of coaching experience to the Vols, including 11 seasons as an NFL assistant. Baggett had just completed his first season with the St. Louis Rams when Vols head coach Derek Dooley selected him for UT's assistant head coach. Baggett previously was at the University of Washington, where he coached wide receivers from 2007-08. 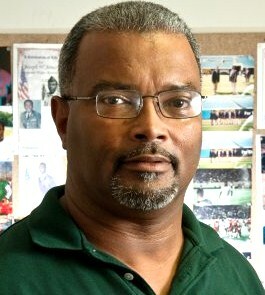 Baggett was associate head coach/offense and wide receivers coach for the Miami Dolphins from 2005-06. Under Baggett, Dolphins wide receiver Chris Chambers recorded the most productive season of his career in 2005, catching 82 passes for 1,118 yards and 11 touchdowns and becoming the first Dolphins wide receiver to be named to the Pro Bowl since Irving Fryar in 1994. The North Carolina High School Athletic Association (NCHSAA) has named Dee Hardy of E. E. Smith High School the Doris Howard Female Coach of the Year. Hardy has spent her entire athletic career in the Cape Fear region. She was a three-sport high school star at E. E. Smith and a college standout at UNC-Pembroke in both volleyball and basketball, where she scored 1,554 career points. She returned to coach at her high school alma mater and has been successful for over 20 years, coaching both women's basketball and volleyball. She has coached in the North Carolina Coaches Association basketball game in Greensboro as well as the Carolinas All-Star Basketball Classic between North Carolina and South Carolina. She is a member of the Fayetteville Sports Club Hall of Fame as well as the UNC-Pembroke Hall of Fame. This award is named for Doris Howard of Fayetteville who was one of the state’s most successful female coaches during a 41-year career at Hope Mills, Central and Cape Fear High Schools, winning 533 games in basketball, and is in the NCHSAA Hall of Fame. Moses Mathis fixes old bikes and gives them away every Christmas, but a tough economy is making this year's effort an uphill battle. Everybody calls me 'The Bicycle Man,'" Moses Mathis said. For 17 years Mathis and a crew of volunteers have turned old broken-down bicycles into priceless Christmas gifts for less fortunate kids. At the age of 72, Mathis says it's a lot of work, but worth it. "It's a blessing on Christmas when I give them away, when I see all the hugs and tears from kids and parents," he said. "It's just wonderful fellowship down here with the kids." 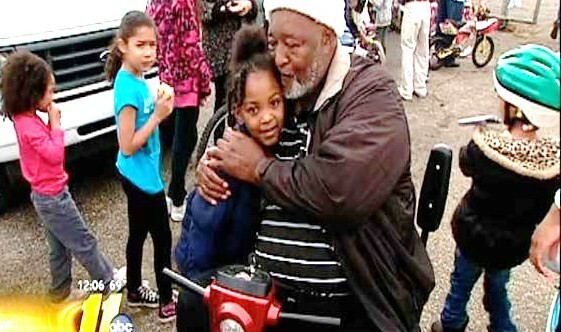 Mathis figures he's given away more than 12,000 bikes since he started in 1991. But this year the economy is taking its toll. Mathis usually asks for $5 to help with cost, this year a lot of families can't afford even that. "A lot of parents have called me and said, 'Look, I've lost my job, my husband has lost his job, we just can't do it,'" he said. But Mathis says no child will be turned away. Right now he has a little over 1,000 bikes ready to go, but he too is running short of funds to fix another 150 bikes before the December 22 give-a-way. 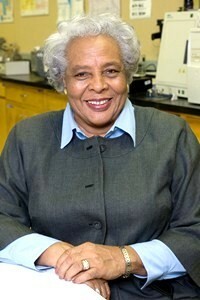 Dr. Peggy L. Green, Associate Professor, Department of Middle Grades, Secondary and Specialized Subjects earned the Bachelor of Science degree in Physical Education (Team Sports) in 1973, from Jackson State University, Jackson, Mississippi; Master of Science degree in Physical Education (Research) in 1975, from Jackson State university, Jackson, Mississippi; and the Doctor of Arts degree in Physical Education (Administration) in 1984, from Middle Tennessee State University, Murfreesboro, Tennessee. While pursuing her master’s degree at Jackson State University she served as coach of the revised Women’s Basketball program as a club sport in 1974-1975.
and coaching Women’s Volleyball (1985-1989) and Women’s Basketball (1985-1992). She later became the Senior Woman Administrator (1989-Present). Orange Street School Restoration and Historical Association , Fayetteville NC. Dr. Jeanette Council is the immediate past chair of the Cumberland County Board of Commissioners. Aside from politics, she has a long history of leadership in education. She has been an educator since 1965. Her professional career includes employment as an elementary teacher, assistant principal, acting principal, elementary supervisor, curriculum coordinator, and federal programs coordinator. 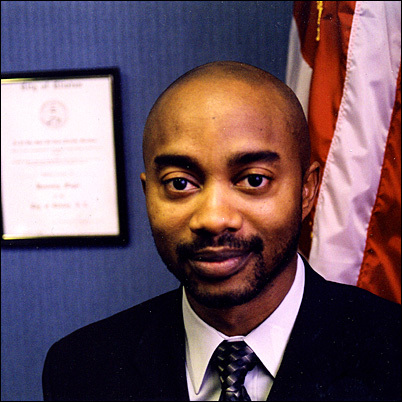 Dr. Council enrolled at Fayetteville State University after graduating from E.E. Smith High School at age 15. She received a Masters from Indiana University at Bloomington. She went on to complete degrees at East Carolina University and received a Doctorate from South Carolina State University. She also attended the University of North Carolina at Chapel Hill, and completed the Duke University Institute of Politics. She is a member of the Democratic National Committee and has been a voting delegate at the party's national conventions since 1972. 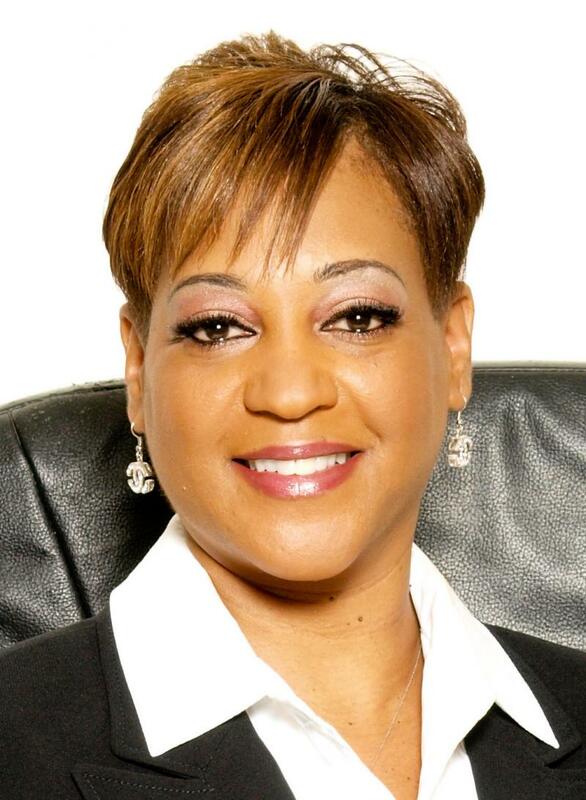 Currently, she is a Cumberland County Commissioner, a member of the Democratic National Committee, chair of Fayetteville State University’s Foundation Board, and a member of the Board of Trustees for Cape Fear Valley Heath Systems. She is also the Federal Programs Coordinator for Pre K students for Cumberland County Schools and just finished two six year terms on the North Carolina Community Colleges Board. Past honors include the NC Legislative Black Caucus Leadership Award and she was named one of the most influential Black females in Fayetteville by members of the Cape Fear Region 100 Black Men of America. Aside from her career, Dr. Council is also an outstanding leader in the community. She is a member of Zeta Phi Beta Sorority, and the Links, Incorporated. She is married to Thomas Council and has one son, Thomas and a grandson, Thomas Melvin III. Born a sharecropper’s son in rural North Carolina, Rev. Aaron Johnson has worked as a tireless advocate for social justice. After leading sit-ins under Martin Luther King Jr.’s tutelage, Johnson advised three N.C. governors on race relations and served as the state’s corrections secretary while pastoring for 45 years at Mount Sinai Missionary Baptist Church on Murchison Road.powerful memoir, Dr. Aaron Johnson shares startling, inspiring insights from the front lines of the civil rights and social justice struggles over the last 50 years, telling his story with hsty and humor. Johnson shows us how human hatred and fear smells, sounds and feels-- and also how it feels to empower others with hope and trust. Meet Johnson in a 4-minute trailer, read or listen to an excerpt, and learn more project of the Foundation.book signing will follow event. Johnson's book is available for purchase at the FSU B It will also be available in the torium before and during the rogram. ﻿﻿﻿ In telling his life story, Rev. Aaron Johnson takes us to the front lines of the fight for civil and human rights in our country over the last fifty years. Whether being beaten and dragged from a dime store lunch counter, standing blindfolded before a Ku Klux Klan meeting, or praying arm-in-arm with a death-row inmate, Johnson shows us how human hatred and fear smells, sounds and feels—and how it feels to empower others with hope and trust. Told with humility and humor, Johnson’s story reminds us that one individual—with focus and faith—can effect great change despite repeated hurdles. Readers will come to know Aaron Johnson as a friend and inspiring hero who suspects that God still has a few projects waiting for him on his to-do list. Dr. Johnson is a graduate of the University of North Carolina at Chapel Hill and received master's degrees from The American University and The Shaw Divinity School (Master of Divinity) and his Doctor of Ministry degree from Drew University, Madison, New Jersey. He also has served on the public relations staffs at North Carolina A&T State University in Greensboro and Howard University in Washington. In 1989, the first edition of The Fayetteville Press was printed. The Fayetteville Press Newspaper, the brainchild of J.J. Jones, was the beginning of a new career �entrepreneurship�, for Mr. Jones who was coming to the end of an outstanding military service career. Starting the Fayetteville Press Newspaper, would become a culmination of Mr. Jones� years of experience, hard work and dedication to media industry. Today, the Fayetteville Press recently celebrated its 15th year in circulation. The paper has a state wide circulation market, among its local circulation market is Fayetteville, Spring Lake, Hope Mills, Dunn and Raeford. Fayetteville, NC – In a press conference held in Capel Arena, Fayetteville State University introduced Mrs. Eva Patterson-Heath as its 12th Head Women’s Basketball Coach. Women’s Basketball officially began at Fayetteville State in 1940. Since its inception, the Lady Broncos have won two CIAA Championships (1979 & 2001) and has six NCAA postseason appearances. Coach Eva Patterson-Heath previously served as the Head Girl’s Basketball Coach at Red Spring High School in Red Springs, NC for the past 13 years. Under her leadership, the Lady Devils had a 503-128 record. This outstanding record led her teams to 17 conference titles, 11 conference tournament championships, and 23 state playoff appearances with two State Championship appearances. Coach Heath’s coaching ability allowed her to develop 21 collegiate student-athletes, seven North Carolina East-West All Star players, three Robeson County Players of the Year, and one Cape Fear Region Player of the Year. Flourishing at Red Springs High School, Coach Heath has brought home several awards. In 2009, she was inducted into the Robeson County’s Inaugural Sports Hall of Fame and in 2006, she was chosen as the North Carolina High School Athletics Association Female Coach of the Year. NICK PERKINS , EE. SMITH GRAD. As Chairman, President, and Chief Executive Officer of Perkins Management Services Company, I would like to extend my sincere appreciation to you for taking the time to learn about our company, our management philosophy and the services that we provide. Consistency is a hallmark of our company. The Golden Bar of Excellence as represented in our logo is a symbol of our commitment to maintaining a superior level of quality management services. Perkins Management Services Company is a dynamic young company that is poised to become an industry leader. Our company has achieved tremendous growth since our establishment in 2005, we attribute our success to our unique ability to create innovative concepts that are modeled to transcend traditional programs and adapt to the changing needs of our customers, while delivering exceptional customer service. We are committed to recruiting, hiring, and training the best executive and culinary talent available. We are committed to total quality management and the delivery of a sustained quality product. Our company stands firm upon a foundation built with integrity and guided by both moral and ethical commitments to sound business practices and socially responsible corporate citizenship. We look forward to establishing a mutual beneficial partnership with you in the future! An E.E. Smith and Fayetteville State University Grad. During his 30-year human resources management career with Wachovia Corporation, Hector McEachern played a key role in keeping the company on the leading edge as the HR field expanded and matured exponentially. Not content to put all that experience on the shelf when he retired in 2009, Mr. McEachern founded The McEachern Group and now acts as its president. Our firm provides guidance on human capital strategies, executive coaching and diversity leadership, organizational change through mergers and acquisitions, and organizational consulting. While at Wachovia, Mr. McEachern rose from personnel manager to become manager of corporate human resources, chief diversity officer, and, most recently, executive vice president and human resources business partner director. In the latter position, he provided executive oversight of the corporation’s operating committee for human resources and other business lines, including leadership for 12 HR officers and 240 HR professionals. Prior to that, Mr. McEachern established the corporation’s Office of Diversity through which he steered a comprehensive cultural assessment of the organization’s workforce and designed and implemented a company-wide cultural awareness and diversity initiative. A long-time leader in his profession, Mr. McEachern is a former member of the American Bankers Association’s Human Resources Executive Committee and former chairman of the Bank Administration Institute’s Human Resources Division. He also commits himself to numerous educational and charitable endeavors, including being former chair of the Fayetteville State University board of trustees, member of the boards for LeMoyne-Owen College and Guilford College, on the board of advisors for UNCG, life member of the board of advisers for The Children’s Home Society of North Carolina, and on the Wells Fargo Greensboro advisory board. Born in Richmond County, NC, Felton Capel attended Mineral Springs High School in Ellerbe and then served two years in the military in Germany and France. On the GI Bill of Rights, he then attended college at Hampton University in Virginia. He then returned to the Pinehurst area. For more than two decades, Felton Capel has been a volunteer and financial supporter of the Fayetteville State University (FSU) — now part of the University of North Carolina system. Felton has served as chairman and member of the FSU Board of Trustees (1978 - 1987) and then as vice chairman and member of the FSU Foundation Board of Directors for more than 10 years. Fayetteville State University named and dedicated its sports arena to Felton J. Capel in 1995. Reverend Rouse confessed Christ at the early age of 12. He was then baptized and joined the Shiloh Missionary Baptist Church of Saint Pauls, North Carolina. During his years there, he served in numerous offices and positions, i.e. Superintendent of Church School, Director of Church Training Union, Teacher of Church School and Church Training Union, Church Clerk, Church Treasurer and Trustee. Her entire 29 year career was spent in Cumberland County Schools. During that time Ms.Corders was named Cumberland County Teacher of the Year, Cumberland County Assistant Principal of the Year and Cumberland County Principal of the Year on three separate occasions. In 2003 she was named Wachovia Principal of the Year and that was followed by the State MetLife Principal of the Year. Mary McAllister is a 1958 graduate of FSU (then Fayetteville State Teachers College). She served as a Representative in the North Carolina State House of Representatives from 1991-2010.
has been teaching at Fayetteville State University since 1960. As of 2010, her 50 year anniversary, Dr. Fleming was the longest serving university employee. In her tenure at FSU she has held numerous positions advancing beyond the classroom to show her dedication to Fayetteville State. In her honor this scholarship as well as an annual Natural Sciences Professional Round-Up were established. An E.E. Smith Alumni. 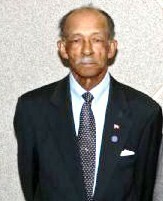 Chairman of The North Carolina Central University Board of Trustees. One of The Voices of THE GOLDEN BULLS. Adams, of Fayetteville, is a criminal lawyer who received his bachelor's degree from N.C. State University in 1981 and his law degree from NCCU in 1984. Roszella Major Williams was an All-conference volleyball , basketball and track athlete while at EE . Smith. She was the Mid-South Athlete of the Year in 1978. While at East Carolina Univesity , she was outstanding in track, Volleyball and field hockey. 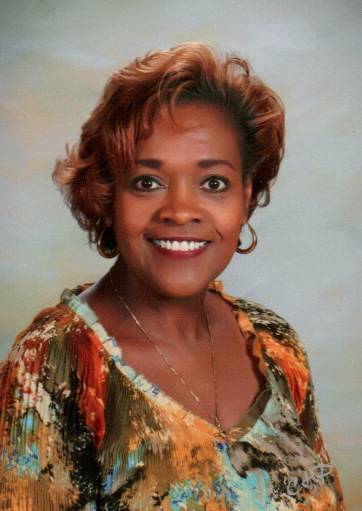 She was teacher of the yea in 1990 and Named to who's Who among NC High School Teachers. She is now an Administator with Cumberland County Schools. NFL. Athletic Director Terry Sanford HS. EE. Smith / Wake Forest Grad. Former NC Board Of Governors . He served as Principal at Washington Dr. Junior High and EE . Smith High School. He became Associate Superintendent for Cumberland County Scools and a member of the Fayetteville State University Board of trustees. Teacher, Coach, Athletic Director, Retired Principal and Outstanding Leader. During his years as an administrator, Westover High School Principal John W. Smith has come to couple of conclusions. First: Teaching is among the most stressful professions. Second: If teachers miss school because they don't have a healthy lifestyle, those teachers and their students suffer. Smith decided to address the stress and healthy lifestyle issues. Along with Judy Roper, adviser for Health Occupation Students of America, Smith instituted an exercise program in which faculty members can work out on campus before, during and after school. The program includes daily walks, aerobics twice per week and shoulder massages. "Our teachers have to be healthy," Smith said. "When you feel good, things go a lot better, and when teachers are healthy, things go better for the students. "As educators, we seldom take the advice we give our students about living healthy. It's good for the camaraderie, and it's good for school unity." REV. DR. JOHN D. FULLER , Fayetteville State University Grad. ev. Dr. Â John D. Fuller, Sr. has served as pastor of Lewis Chapel Missionary Baptist Church in Fayetteville, NC for over 38 years. Under his leadership, Dr. Fuller strongly emphasizes stewardship of time and talent, and the biblical principle of tithing. His ministry is not restricted to just his local congregation but extends to state, national, and global levels. He was the organizing president of the Ministers and Pastors Conference within the Union Baptist Association. Â He has served on national boards such as Lott-Carey, Morehouse School of Religion, National Baptist Convention USA, Inc., and state president of the North Carolina Baptist Convention. Â He also holds positions on other executive boards. Westover High School football coach Milton Butts is leaving the school at the end of the semester to become the new head football coach at Hoke County High School. Gary Brigman, Hoke County athletic director, said the Hoke Board of Education was voting on Butts on Tuesday night and he expected them to approve his hiring. Results of the board's vote were not available at press time. Attempts to reach Butts for comment Tuesday night were unsuccessful. In three seasons at Westover, Butts compiled a 19-17 record. This was his second time coaching at the school. He left Westover in 1994 to become head coach at E.E. Smith, serving there 12 years before returning to Westover in 2007. Former E.E. Smith Head Basketball Coach and Fayetteville State University ALL-AMERICAN Baseball Player. As a retired educator, Dr. Ellis has over 30 years experience that has included teaching, coaching, school level and central office level administration. 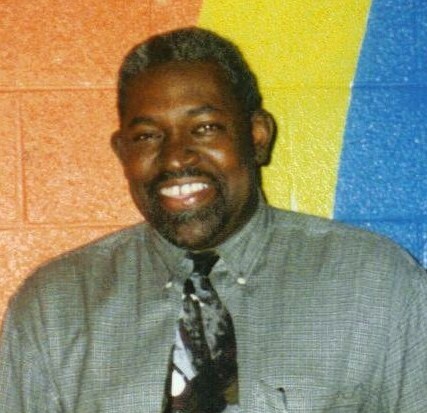 George retired while holding the position of Executive Director of High School Education in Cumberland County Schools in Fayetteville, North Carolina. Larry McDonald, Sr. is a very important and well-known member of the Durham Public Schools’ team. 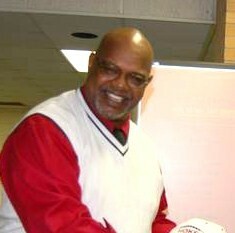 Larry is the system’s Director of Athletics and a former principal of Southern High. Recently, Larry was honored by his alma mater, Fayetteville State University, with an induction into their Hall of Fame. He attended FSU on a track and football scholarship. While there, Larry earned a Bachelor of Science in Health and Physical Education with a minor in History. Cumberland County Commissioner Charles Evans has been elected 2nd vice chairman to the Democratic Party's 7th Congressional District. CIAA OFFICIALS HALL OF FAME E.E. Smith Grad. In Fred Clark's office inside the Fayetteville-Cumberland Parks and Recreation headquarters, the walls are covered with memories. Clark's collected dozens and dozens of those memories during his two decades with FCPR. With his retirement from the department coming within the year, Clark finds himself reflecting more and more, not just on the sports programs he's helped coordinate, but on the lives he's touched in the community and the people who have touched his life. A few tokens of the highlights in Clark's varied and successful career adorn the wall: the program from the night he was inducted into the Central Intercollegiate Athletic Association's Officials Hall of Fame; a plaque of appreciation for his work coaching the Fort Bragg post basketball team; another for his officiating of the North Carolina High School Athletic Association state football championship. Jimmy Buxton , An E.E. Smith Grad. 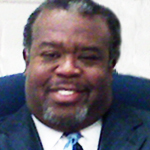 retained his title as president of the Fayetteville branch of the NAACP after a special election was held April 26. E.E. Smith High School Basketball Star and Fayetteville State University ALL-CIAA Basketball Player. Terence Murchison, Chair of the FSU Board of Trustees. Murchison is currently employed as Global Director of Information Technology Services. A native of Fayetteville and a graduate of E.E. Smith High School, he earned a bachelor’s degree in business administration from FSU. He also earned a Master of Business Administration degree from Winthrop University in Rock Hill, S.C., and a project management certificate from Villanova University in Pennsylvania. Pastor, teacher, civic leader, humanitarian, entrepreneur, life coach, mentor, visionary and father to many, Bishop J. V. Porter is the Founder and Presiding Prelate of United Gospel Fellowship Covenant Ministries, International. He is also Senior Pastor of Christ Cathedral located in Fayetteville, North Carolina. Bishop Porter endeavors to build a purpose-driven church for all people fulfilling the five-fold purposes of the church: (1) Worship, (2) Ministry, (3) Evangelism, (4) Fellowship and (5) Discipleship. His uncompromising and bold teaching of God’s Word has changed and liberated the lives of people locally and worldwide. E.E. SMITH Football and Baseball Star and Winston Salem State University Football Stand-out. One of the VOICES OF THE GOLDEN BULLS. Robert A. Massey, Jr. was initially elected to the Fayetteville City Council June 2, 1992, and is currently serving as District Three Fayetteville City Councilman. Councilman Massey earned his Bachelor's of Science degree in History from Fayetteville State University in 1970. He also earned a Master's of Arts degree in Secondary Education from Catholic University of America in August of 1972. Mr. Massey was graduated from E.E. Smith Senior High School of Fayetteville in May of 1966. 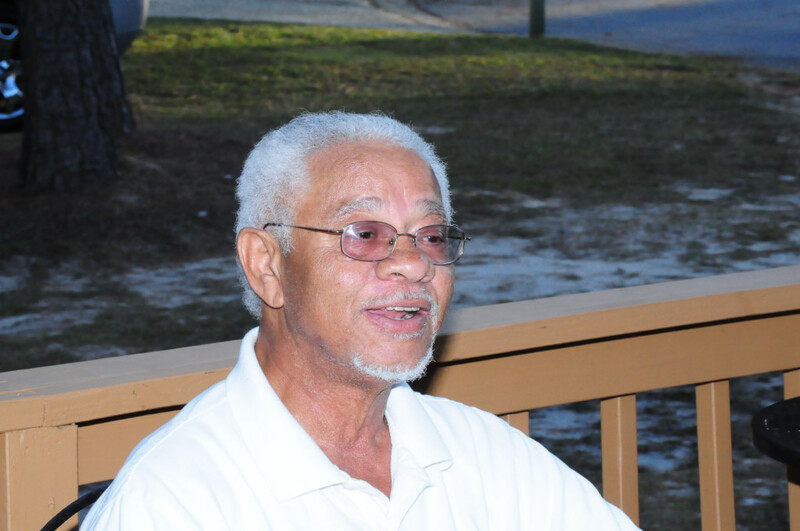 Mr. Massey taught History and Political Science at Fayetteville State University from 1972 to 1978. From 1978 to 2002, Councilman Massey worked as a Program Director in the Continuing Education Division and as an Instructor in the Associate's program at Fayetteville Technical Community College. He retired from the State of North Carolina in 2002 after 31 years of service. In 2009 Phillips, the CIAA’s Coach of the Year, guided FSU to its third NCAA Division II playoff appearance. FSU has a 16-6 record and a .727 winning percentage since 2007. The only two-year winning percentage better is a .785 percentage (11-3-1) from 1975-76. The Broncos’ 16 wins since 2007 are the second most in two seasons in school history. FSU has won seven or more games five times since 2002. Phillips took over at FSU in 2000 and lost his first game to Benedict College 19-20 but won his second, 32-26, against conference foe Elizabeth City State. Fayetteville State finished his inaugural season 3-7. In his time at FSU, Phillips has amassed a 63-43 record. Senator Larry Shaw is a long-standing member of the North Carolina Senate General Assembly and a former member of the North Carolina House of Representatives General Assembly. He also serves as the chairman of the Transportation Committee and vice-chairman of the Finance Committee.